Hi guys! HEY!! Do you see that little picture up there? The one that says "Press Sample"??!! THIS IS MY VERY FIRST PRESS SAMPLE AND I AM SO PUMPED. Alsooo I changed my watermark finally. Now people won't be left wondering what the F an "lbol" is. I kind of finally feel like a real blogger!! Today I have four (very soon to be released) colors from Polishnv. Purchasing info can be found at the bottom... after all the pictures and reviews and stuff. So let's dig right in, shall we? 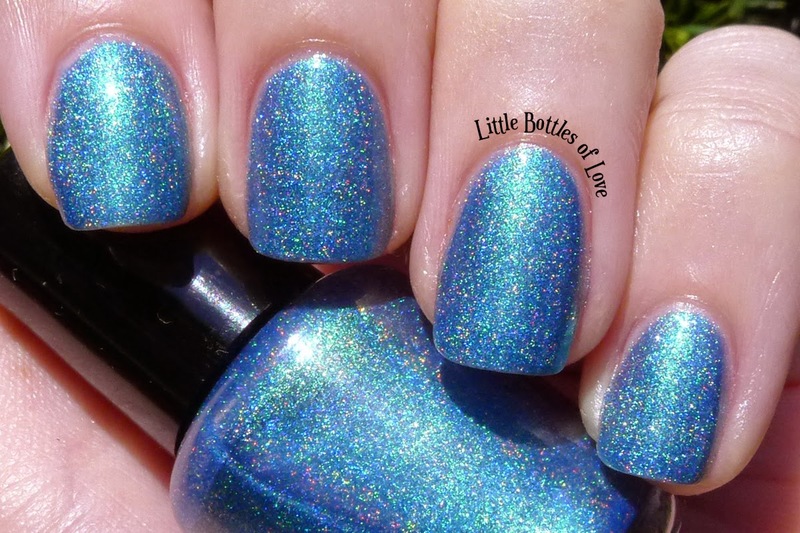 The formulas with Fire In The Sky and Mermaid Tears were similar; three thin coats for opacity. I also used three coats with Tilt A-Whirl but you could likely get away with two. Route 66 only required two coats for opacity. They all applied smoothly and were neither too thin or thick. 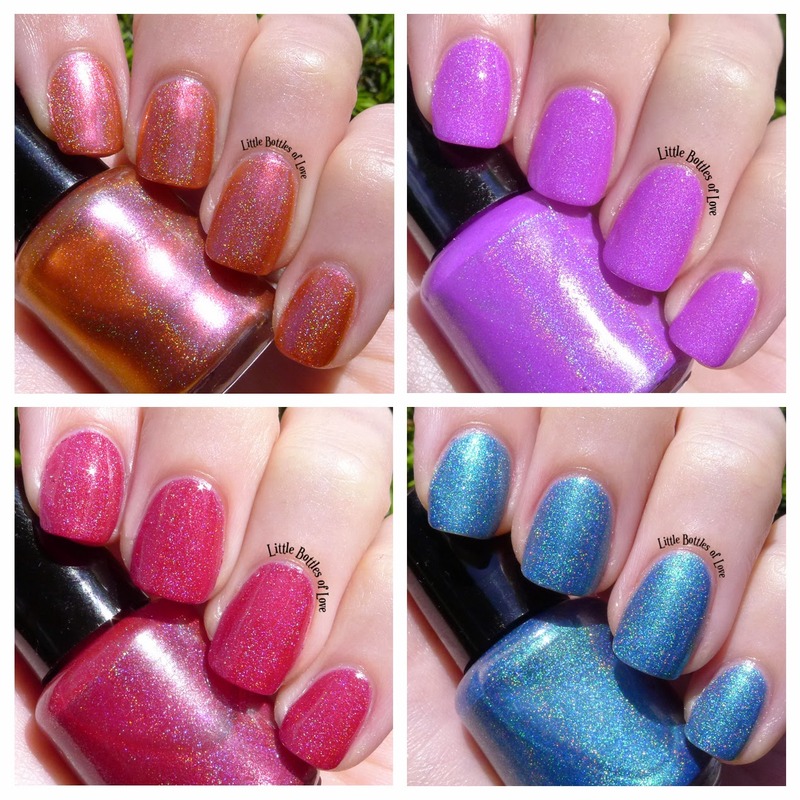 All of the swatches are shown with topcoat, with the first two pictures of each polish being taken in the sun while the last one shows it in the shade. Did you get all that? 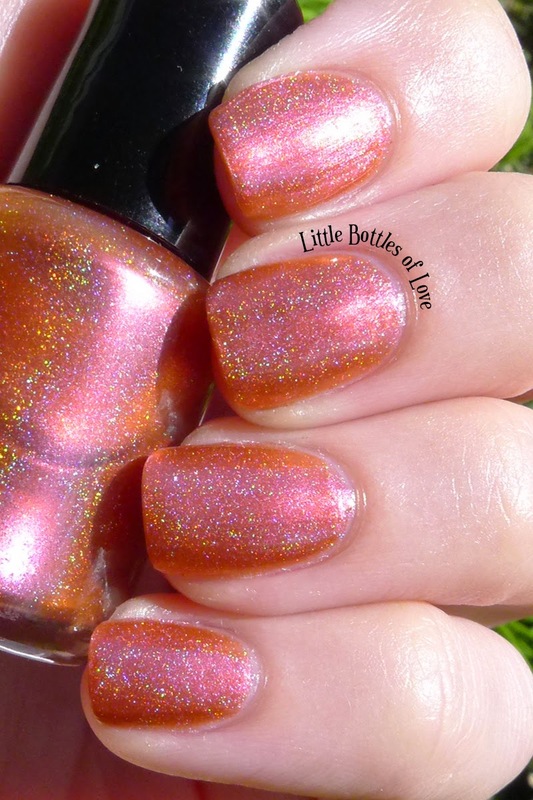 Up first is Fire In The Sky, a purple/pink/red to rusty orange metallic duochrome with linear holo. Not a color I would ordinarily have chosen to wear, I quite like what it looks like on. It is a bit of a chameleon, shifting to varying shades of red/orange at different angles and lighting. The righteousness of the duochrome, however, is also most apparent out of direct light. 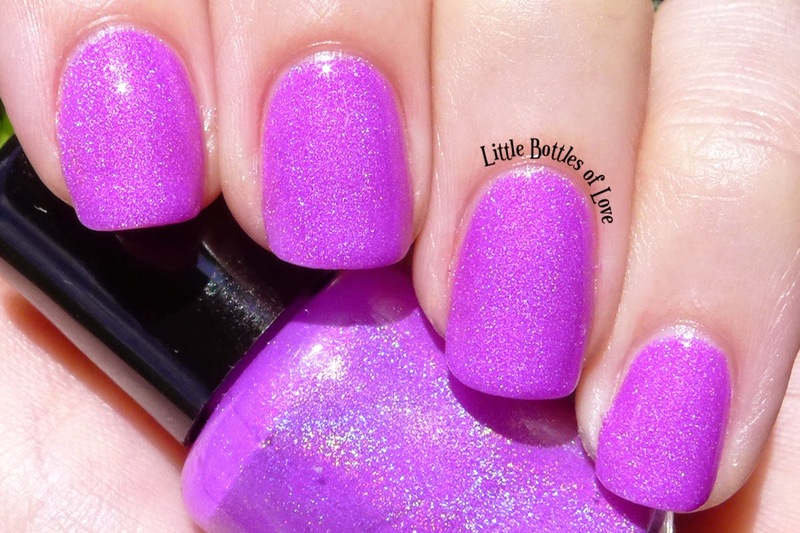 Tilt A-Whirl is a summery bright light purple that has the most subtle linear holo of the bunch. I love this kind of purple -- I swatched it last so I could wear it around for a bit! 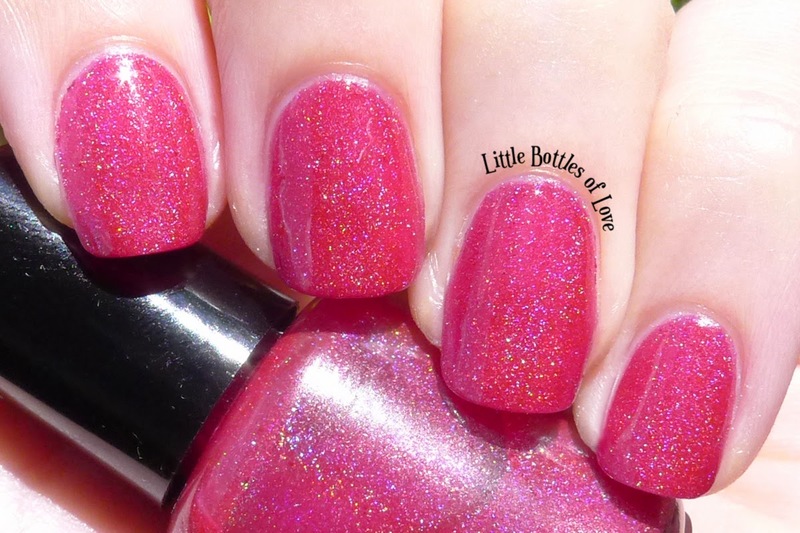 It takes on a softer berry tone in the shade but really pops in the sun. Route 66 looks, in the bottle, like a vampy burgundy red with subtle linear holo but applies lighter and takes on a raspberry quality in the sun. I thought this color was going to be a bit too dark for Summer but it's totes nots. I'm looking at the bottle indoors, right now, and it seriously looks brick red. What a little trickster. 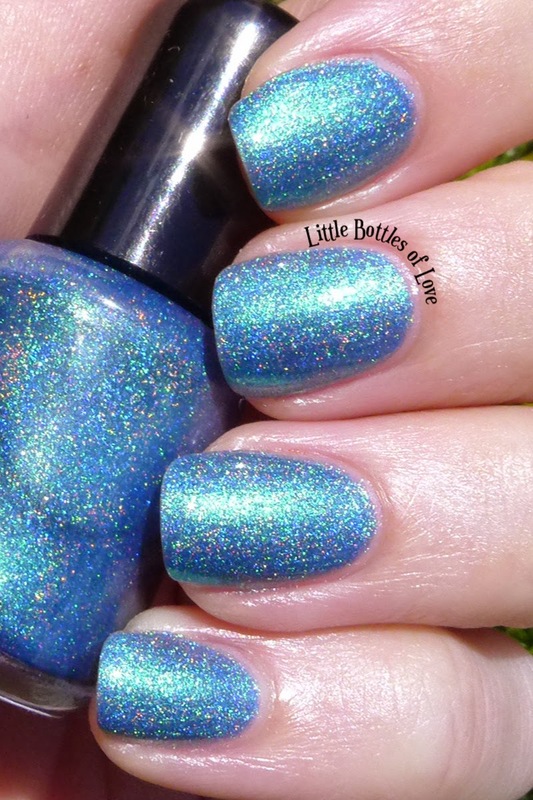 Finally we have Mermaid Tears, my (unsurprising) favorite of the bunch. Heavenly shade of blue? Check. Aqua flash? Check. Having to do with crying? Check! I would punch a mermaid in her throat if I knew her eye juice was this pretty. To, you know, make her cry so I could collect her tears... not just because I had the knowledge... anyway, it's real pretty is what I'm saying. It's also got kind of a scattered linear holo, if that makes any kind of sense. The arch is loose, but it's there. These little darlings will be available on the Polishnv Etsy Site (which can be found here!) soon and will be sold for $9 bucks a pop, full size style. Love these, I have a couple from Polishnv, and they are awesome. "I would punch a mermaid in her throat if I knew her eye juice was this pretty. To, you know, make her cry so I could collect her tears... not just because I had the knowledge... anyway, it's real pretty is what I'm saying." 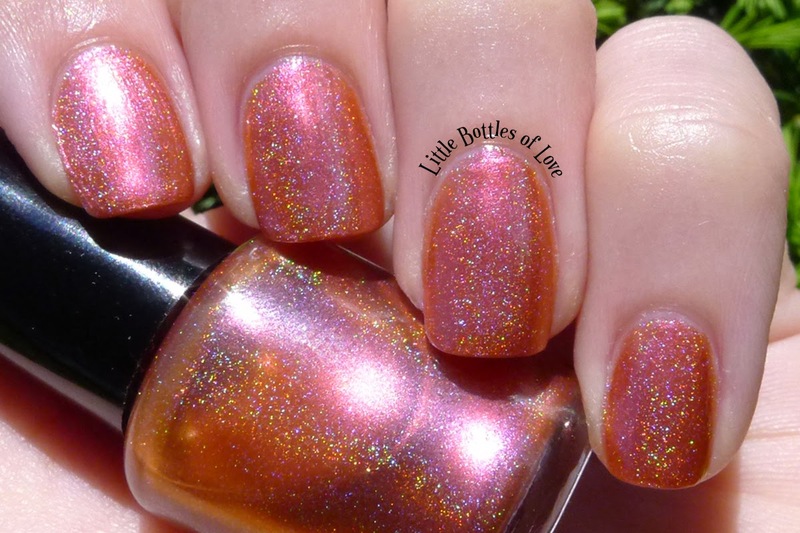 I need my nails go stop being little sissies and just grow out already so I can get a couple of their thermals. Aaaaah! I was surprised at the shift in Fire In The Sky. 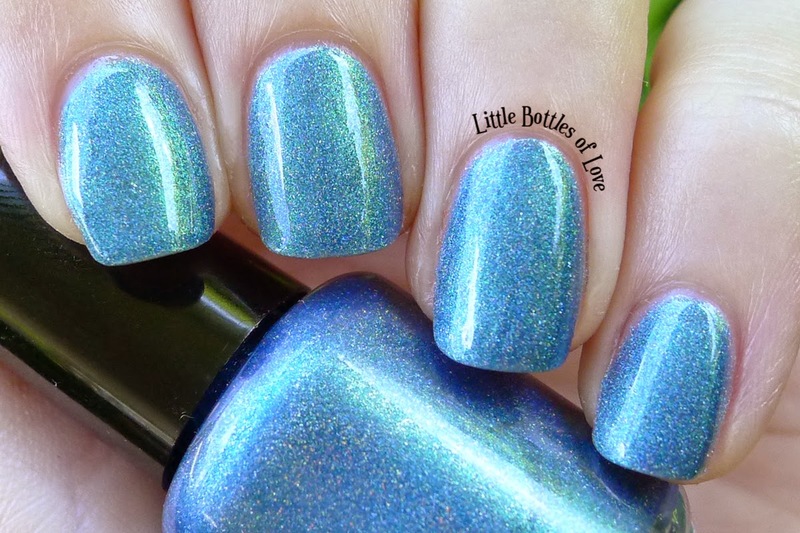 You can tell it's duochrome-y in the bottle but it's way more apparent on the naaaaail.